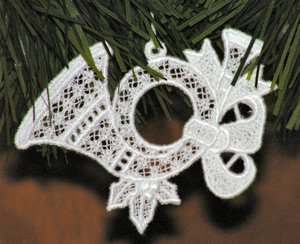 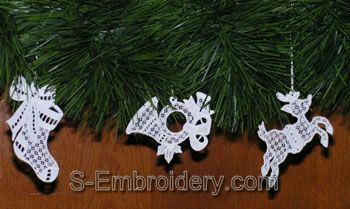 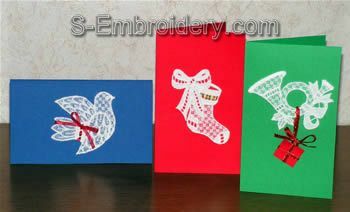 A set of 5 freestanding lace Christmas ornaments. 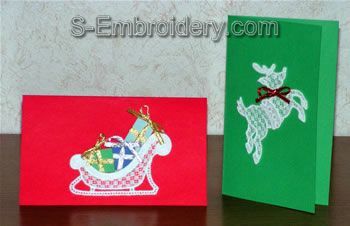 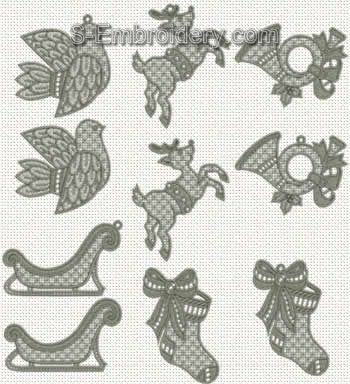 Each of the embroidery designs in this set is available in 2 variants, so that it can be used both as a Christmas tree ornament or as decoration for Christmas greeting cards. 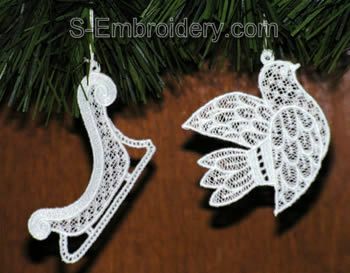 Examples of using these freestanding lace designs are shown on the detailed images below.